Do the Islanders know what they're doing or...? 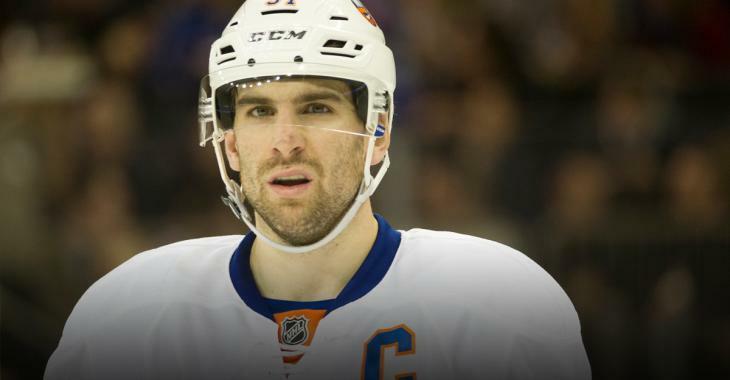 The New York Islanders appear to have come to a decision on what they will do with John Tavares this year, and while it isn't surprising, it's a very risky decision to take. The Islanders sit third in a stacked Metropolitan division with a 14-7-2 record and with players the like of Matthew Barzal, Josh Ho-Sang and Josh Bailey having great years along with the captain, the time seems right for them to make a push for the Stanley Cup this year. “Obviously, this is John Tavares’s decision, but I think the Islanders are very content to let this play out,” Sportsnet insider Elliotte Friedman said on Hockey Night in Canada. “I don’t necessarily think the trade deadline is a deadline for the Islanders here. If they have to keep going past it, I think they’re perfectly prepared to do it. Obviously nothing is ever set in stone, but when you have a player of Tavares' ilk in the lineup, you don't give him up easily, and it appears clear now that the Islanders will take their chance with their superstar. There isn't a contract offer on the table right now for Tavares, and they're banking on the arena deal panning out in Belmont Park. That proposed plan would only provide an arena in a few years, and they have to hope Tavares is willing to wait it out. This news will come to the disappointment of many teams and its fans.